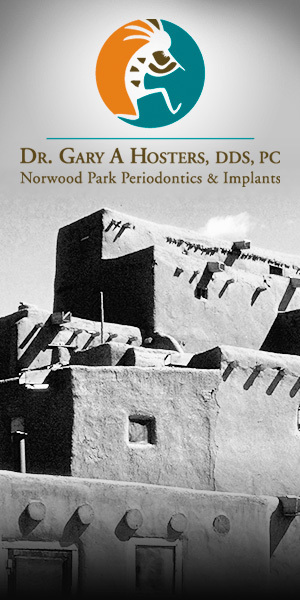 Dr. Gary Hosters and his highly skilled team would like to welcome you to our most unique dental office. The moment you enter, you will recognize this is not your typical dental office. From the relaxing dessert like spa environment to the smell of pinon, our office is designed to oral health while stimulating your senses. Whether you need dental implants to replace missing teeth or treatment of periodontal disease, we have the expertise and compassion to exceed your expectations. Our knowledgeable and calming team will always address your concerns and alleviate your fears. We have the knowledge and skills necessary to establish a healthy mouth in a comfortable, peaceful environment. A list of your current medical and homeopathic medications. A downloadable copy of our medical history. Your clinical exam will entail a thorough assessment on bone, gum tissue condition and potential correlations to your general health. Upon completion of your exam, we will educate you on your dental conditions and present treatment options. If your general dentist has taken prior x-rays, you may request that they be forwarded to our office. Many practices have digital x-rays, making it possible to email your records. If there is not sufficient time to arrange for them to be mailed, please pick them up from your dentist and bring them to your new patient consultation. If any additional films are necessary, they can be taken at our facility and will be forwarded to your referring doctor. As part of our comprehensive exam every patient receives an oral cancer screening. This includes a manual and visual exam as well as a screening with the Velscope. This unique advanced screening tool uses a blue light to stimulate natural fluorescence in the soft tissues of the mouth. By using the Velscope, potentially cancerous lesions can become apparent to the dental professional that may not be apparent to the naked eye. The result is earlier detection of unhealthy lesion leading to earlier and more affective treatment.